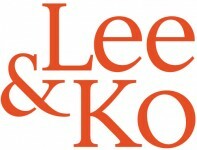 With more than thirty years of experience as Korea’s leading full-service law firm, Lee & Ko has a widely recognized and long-established record of excellence in providing expert legal advice and representation to its diverse clientele in domestic and international matters involving all areas of legal practice. Lee & Ko’s in-depth expertise extends to all legal practice areas. Relevant services to clients are provided by one or more of the four practice groups within the firm including (i) general corporate and M&A, (ii) banking, finance and securities, (iii) litigation and arbitration and (iv) intellectual property. These four practice groups consist of approximately 40 specialized teams of legal professionals: Anti-corruption & Regulatory Compliance, Antitrust and Competition, Aviation, Banking, Bankruptcy, Insolvency and Corporate Restructuring, Capital Markets and Securities, Class Action and Consumer Claims, Construction, Corporate and M&A, Corporate Governance, Derivatives, Dispute Resolution, Energy, Entertainment, Environment, Finance (Acquisition Finance, Asset Finance, Project Finance, Structured Finance), Foreign Direct Investment, Healthcare, Insurance, Intellectual Property, International Practice (Chinese, European, Japanese practice), International Trade, Labor and Employment, Maritime and Shipping, Overseas Investment, Private Equity and Venture Capital, Privatization, Product Liability, Real Estate, Tax and Customs (Tax Consulting, Audit, Dispute Resolution, Transfer Price), Technology, Media and Telecommunications, and White-Collar Crime. Lee & Ko’s practice groups and specialized teams have consistently been ranked among the best in the field for relevant markets and practice areas by leading Korean and international professional associations and publications including Legal500, Chambers Asia, PLC Which Lawyer and Chosun Daily. We make it a matter of highest priority to build lasting relationships with our clients at all times by being responsive to each client’s specific needs in each matter entrusted to us and doing our utmost to ensure successful results. Following this approach, Lee & Ko has particularly distinguished itself with a well-earned reputation for its expertise and successful handling of complex cases in many important transactions and cases.